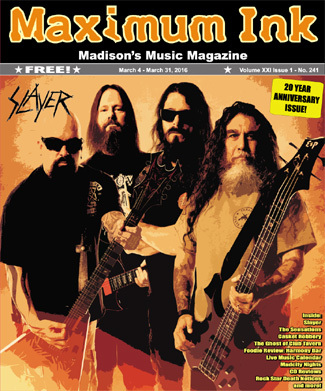 SLAYER is a name that is synonymous with metal music, and their latest album, Repentless, stays true to the band’s reputation. The new album is the first release since legendary guitarist Jeff Hanneman passed away unexpectedly in 2013, and also marks the return of Paul Bostaph, who last drummed on one of the band’s staple albums, God Hates Us All. The sound of the new album has leanings more toward the thrash metal side of SLAYER, than the death metal side, which keeps with the traditional raw feel that the band carries. That brash sound can often change when played live. “The material translates very well to live… I think some of it even translates better when it’s live,” Bostaph explains. SLAYER is bringing the brutality in support of their newest release, Repentless, to The Orpheum on March 9.